Mayor Steve Benjamin and his family along with the City of Columbia will host the 9th annual Let’s Move! 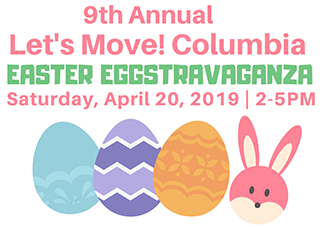 Columbia Easter Eggstravaganza on Saturday, April 20. This year’s event will include eggs-ercises, face painting, a Bunny Scavenger Hunt, exhibitors, refreshments and more!